Many that have used a mortgage adviser or broker in the past have been used to paying the broker a fee of between £300 and £2,350. Like all other brokers, we receive a payment from the lender when the mortgage completes. The difference is that unlike other mortgage brokers, we do not charge our customers a fee on top of this. You’ll pay no more applying through us than you would going directly to the lender on the same deal – but we’ll also handle the entire process for you – from time to time we even have exclusive deals that wouldn’t be available directly from the lender so you may be able to save even more money. Mortgage is likely to be one of the biggest decisions / financial commitments you ever make. There are many types of mortgages available on the market and it can be confusing to know which one is right for you, with a large range of providers, products, interest rates and repayment options it can be a daunting time, let us take some of the stress/hassle strain away and contact one of our qualified mortgage advisors today. We do not charge a mortgage advice fee, but we will receive commission from the lender. Whether you’re a first-time buyer, moving home or looking to remortgage, using the latest technology we can source products on your behalf and recommend a mortgage that meets with your requirements. We can also explain how mortgages work, help you calculate what you can afford and confirm what you are able to borrow. In addition to residential mortgages we also provide advice on buy to let mortgages and can assist with any commercial mortgage or bridging loan enquiries. The very first part of the mortgage process is a meeting (face to face or telephone) with your advisor. During this meeting they will tell you about themselves and our business. They will then take some time to find out about you, your circumstances, your income, your outgoings and your goals. Your advisor will then spend some time sourcing a solution that matches you and your needs. You may also ask your advisor to provide you with an agreement in principle (mortgage in principle) which usually includes a lender credit and affordability check. The agreement in principle can be supplied to estate agents as part of verifying your ability to purchase a property (usually called a financial qualification by estate agents). Once you have found a property (purchases) or are ready to proceed (remortgages), another meeting will take place where your advisor will relay their findings, recommendation and reasons why. They will also at this stage require some documents such as ID, bank statements, pay slips (employed), tax calculations/accounts (self-employed & directors). If this is for a purchase, you would normally instruct a solicitor/conveyancer at this point too. Your advisor will then check your documentation and apply to the agreed mortgage lender for you. The timescale from application to formal mortgage offer is usually 3 days – 2 weeks depending on the complexity of your application and the lenders workload at the time. Once your mortgage is fully agreed, your mortgage offer is issued to you, your advisor and your solicitor. Your solicitor will start or have started communications with the vendors solicitor to arrange contracts, queries and then finally arrange a completion date. Check for any outstanding items, such as payslips, bank statements, mortgage statements, proof of ID, proof of residence etc. for validity and correctness. 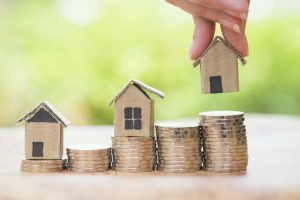 Issue a mortgage offer letter – an offer letter will be sent to the client advising that the lender is prepared to lend amount of monies, on which property, under what conditions, etc. once they have fully agreed.